The Reel Awards™ were conceived in 1989 by Janna Joos of International Celebrity Images & Alana Joos of Entertainment Express. International Celebrity Images has been the host of The Reel Awards™ its inception, with the first awards being given out in March of 1992. They have been instrumental in offering well-deserved recognition to the wonderful entertainment value of celebrity impersonators, and look-alikes. The Reel Awards lovingly spoofs the numerous other award shows in the entertainment industry. Instead of the “Oscar,” the award recipients receive the “Can” which is a film reel can inscribed with the category and winner’s name. The Reel Awards™ began at the Blossom Room of the Roosevelt Hotel in the heart of Hollywood — a fitting location as this room was the site of the very first Academy Awards in 1928. Honors are awarded to those who have contributed their talents to the entertainment industry and also to those who have paralleled the success of some of Hollywood’s most famous entertainers in movies, television, and music as well as famous faces in politics and sports. The roster of celebrity impersonators and look-alikes has made this event a favorite with the public and media alike. The Reel Awards™ has been featured on entertainment news spots from Los Angeles to Austria to Japan to Israel, and countless places in between. 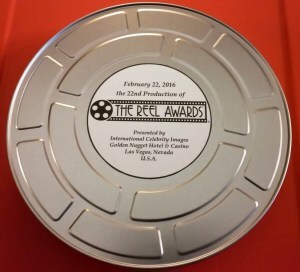 You may have seen The Reel Awards featured on the BBC, The Jimmy Kimmel Show, or On Air With Ryan Seacrest. We hope to see you at The Reel Awards! It is a show like no other.